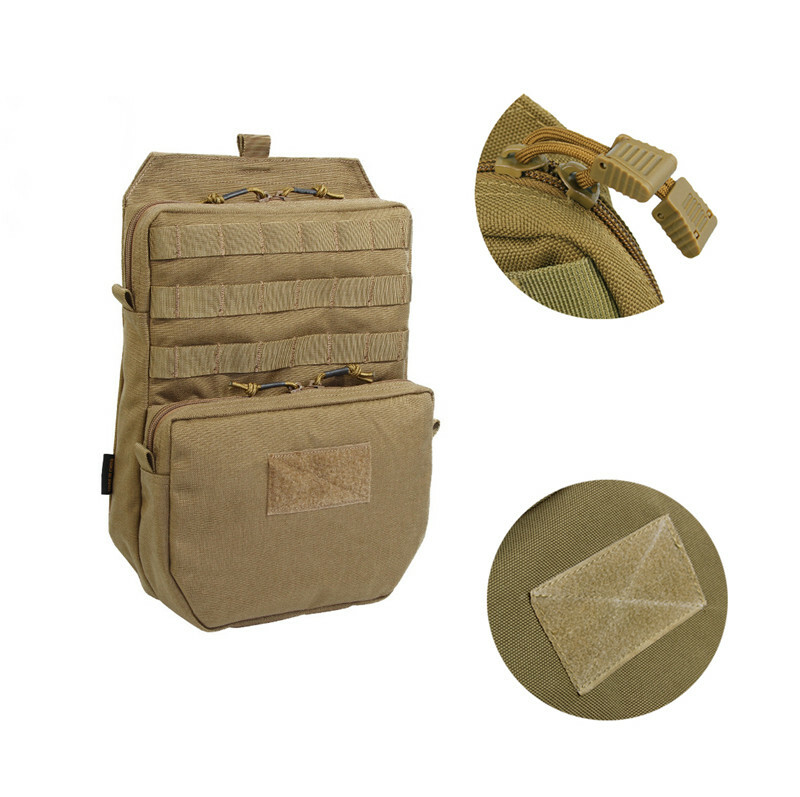 Every soldier knows how important hydration is to a successful mission, and this item gives you exactly that. 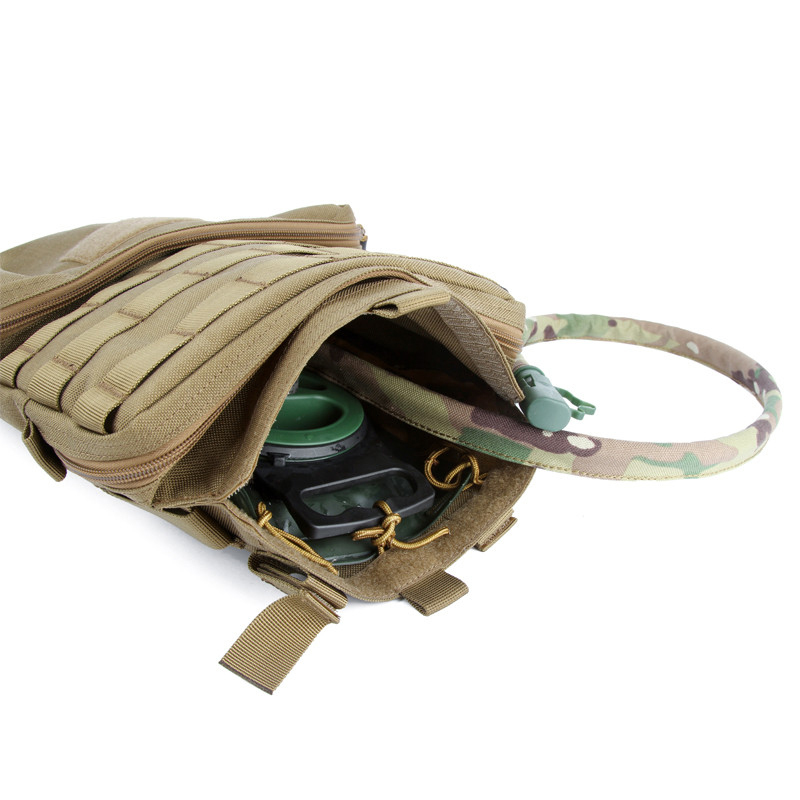 This outstanding hydration pouch features a highly functional hydration pass-thru tube. 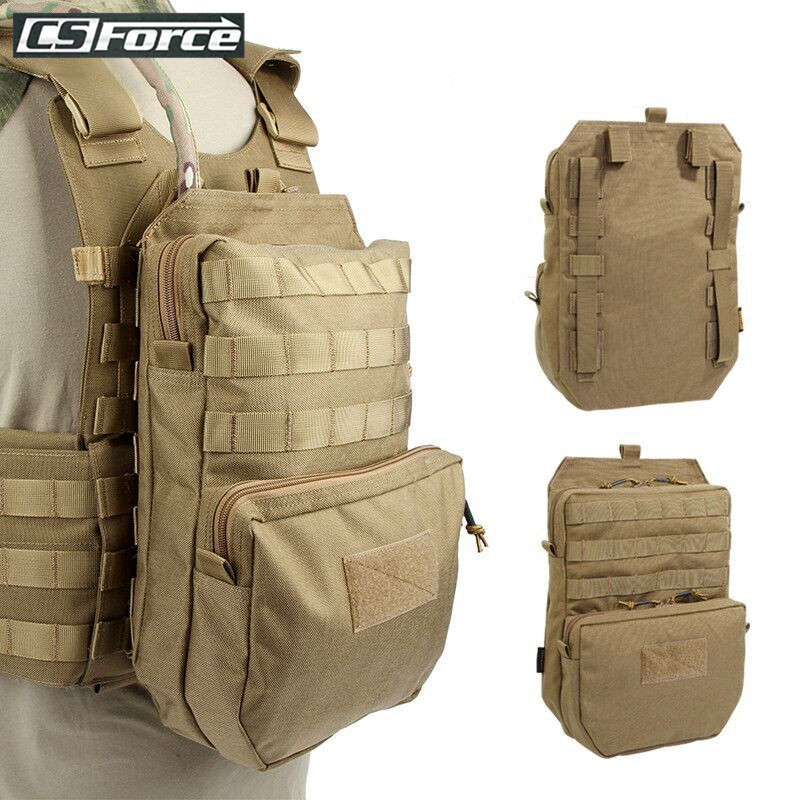 This allows you to continue marching, hiking, driving or firing while staying hydrated with virtually no effort. 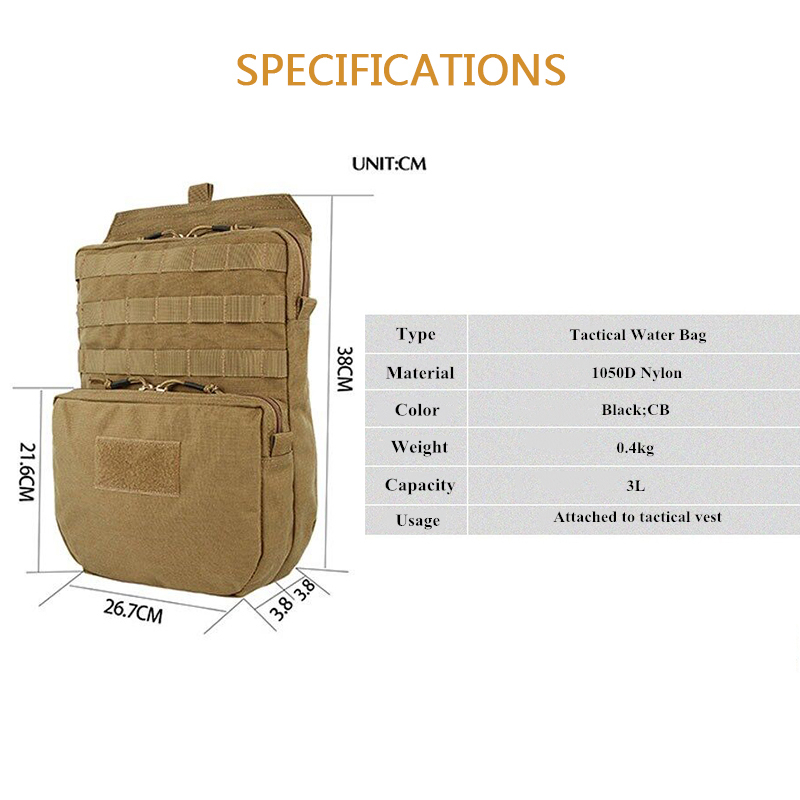 This Water pouch is also designed to carry a water Bag via a modular webbing system that can be attached either to your vest or backpack. 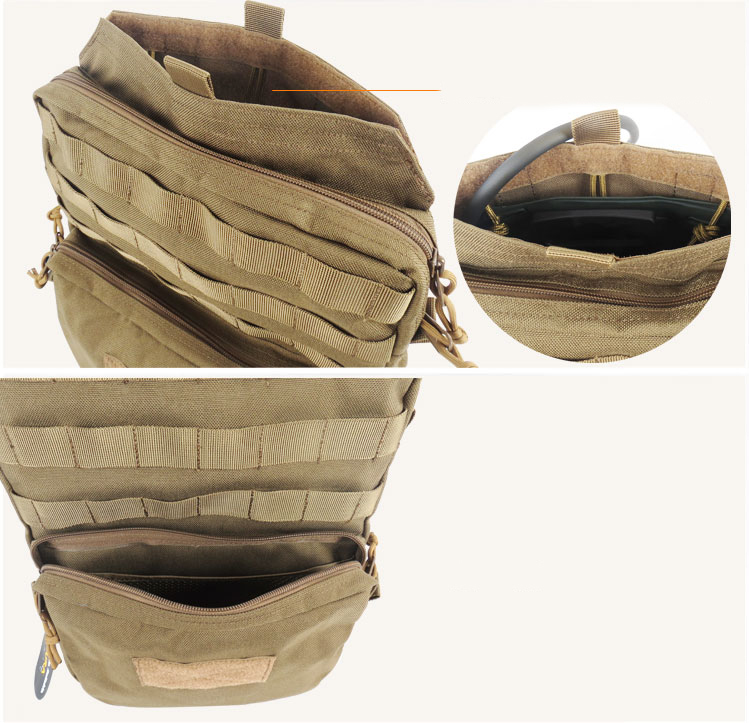 You know better than anyone how to quickly access your potentially life-saving water source, so this pouch is fully adaptable that way. 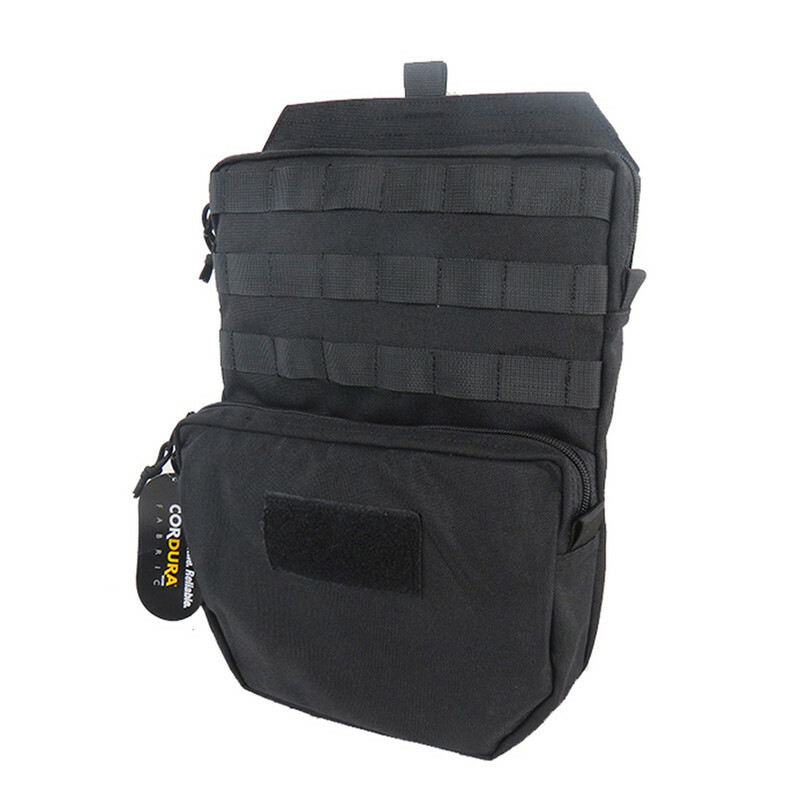 Constructed by 1050D high quality nylon material, wearable and durable. Waterproof and quick dry function. 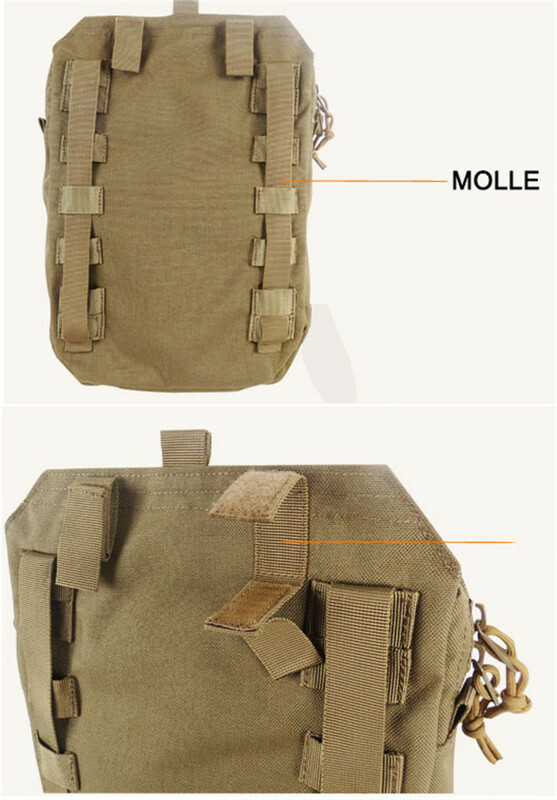 Molle on both front and back for attaching more pouches or other articles. Compartment for 3L bladder, which is not included. 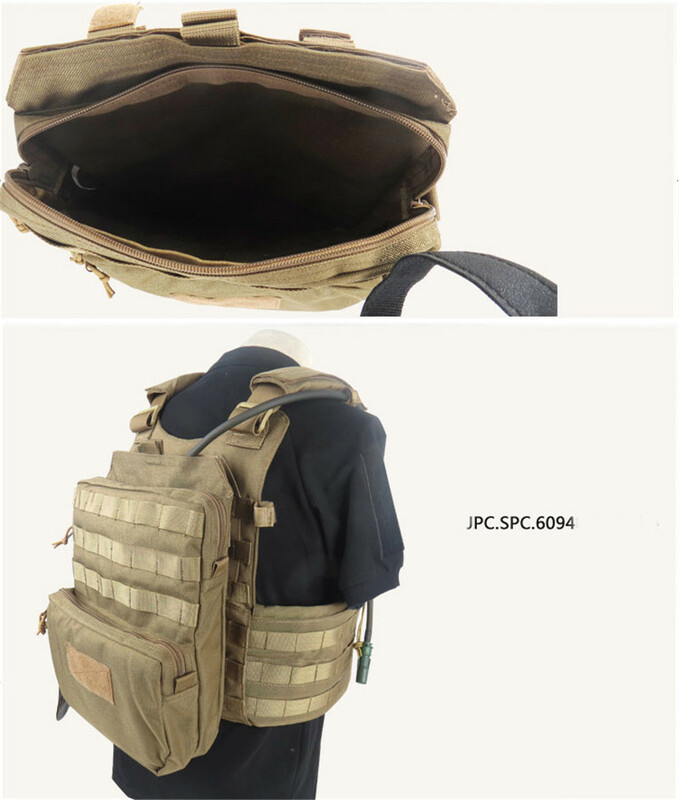 Suitable for tactical vest JPC, SPC, 6094, etc.